We are delighted to be able to tell you about the new working partnership we have caring for donkeys in Kenya. Some working donkeys in Kenya have very difficult time. Imagine working all day with sores and cuts often caused by cruelly ill-fitting harness – lack of funds often mean that unsuitable materials are used which rub and cut the donkey. 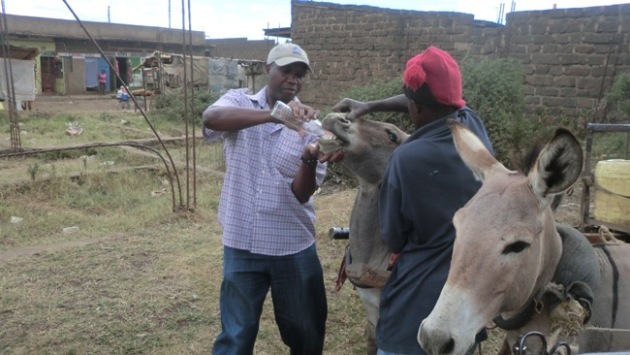 Helping to support road-side clinics where donkeys can have wounds dressed, improvements made to harness and saddle cloths and pads supplied to make their lives more tolerable. We have also been able to supply the means of sending small quantities of medicaments home with the donkey owners so they can continue treatments on a daily basis. We feel sure you will want to help these patient animals – the difference to their lives is enormous, often just by small things like relieving a harsh material rubbing into a sore. 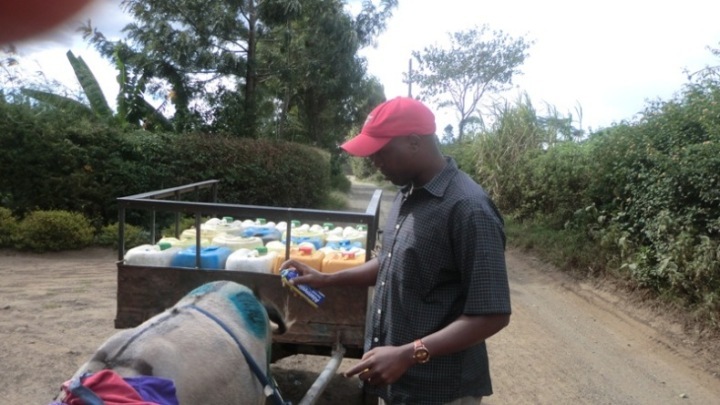 Our colleague in Nakuru can often help the owners who may not know the best way to care for their animals, either by advice or by providing the products needed . We have also been able to help with the provision of a small sanctuary where Josephcan offer a place of safety to take abandoned or really sick donkeys . A suitable field and shelter has been rented and we hope you are as delighted as we are to be able to offer hands-on help to working donkeys who often suffer awfully.